I have always loved pickles. Not just regular gherkins, but any vegetables pickled. I do understand it is an acquired taste, but I read recently just how good fermented vegetables are for you. Kimchi is a staple in Korean cuisine, is a traditional side dish made from salted and fermented vegetables, most commonly napa cabbage and Korean radishes, with a variety of seasonings including chili powder, scallions, garlic, ginger, and jeotgal (salted seafood). The most important fact about Kimchi is that it has been known to be the secret to a long life. South Korea is expected to be the first country where life expectancy reaches 90. Made with cabbage, kimchi is salty and spicy, and full of probiotics, and vitamins A & B. It also contains lots of lactobacilli – a good bacteria found in yogurt and healthy guts. Scientists think it is why South Koreans live so long. So here is my simple Kimchi recipe my darling mother found in a magazine & tried. If you love pickles and spicy foods you will love it! Remove the stalks from the cabbage. Cut it up into 4cm pieces. Place in a bowl, sprinkle over the salt. Rub the salt into the cabbage with your fingers. Cover the cabbage with cold water, cover and set aside for 2 hours. Sieve the water, rinse thoroughly under water then leave to drain. Place the garlic cloves, ginger and sugar in a food processor and blend until a smooth paste is formed. 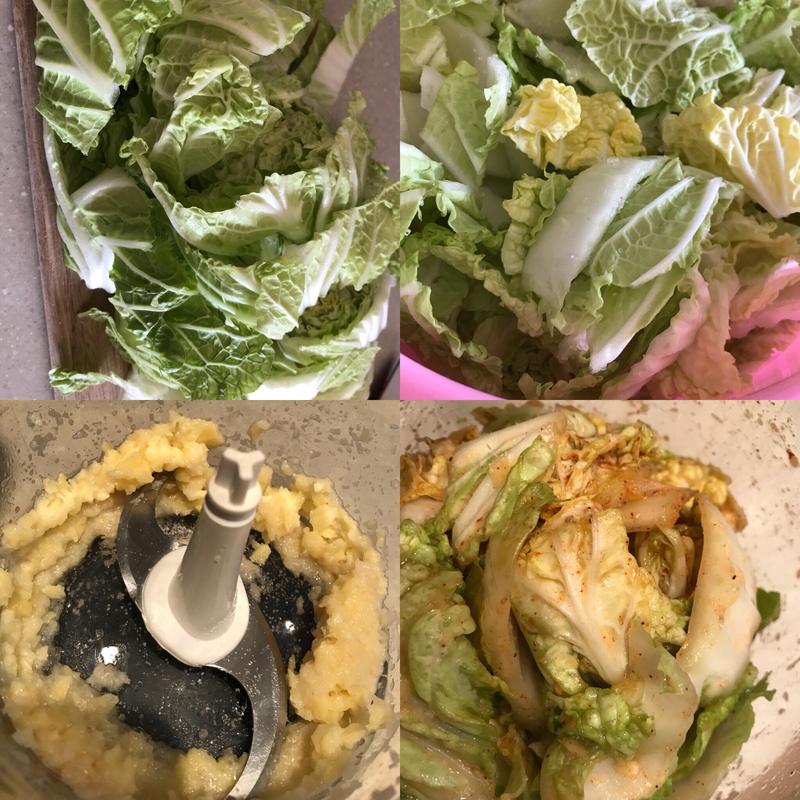 In a large bowl, mix the cabbage. Add in the ginger, garlic paste. Add the chilli powder. Add a little warm water. Mix thoroughly. Place the mixture in a glass jar with a lid. Keep at room temperature for one week to ferment. Then transfer to the fridge. The Kimchi will keep for up to 3months. Enjoy with anything really! I love it as a side to my avocado toast! 2018 Mother In London. All rights reserved.